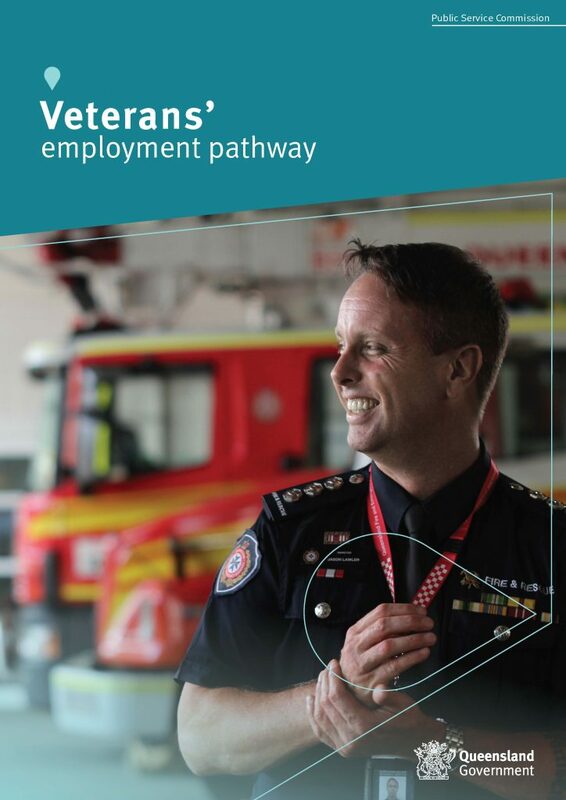 The Queensland Government is hosting its first-ever virtual careers fair to showcase job opportunities to veterans (former Australian Defence Force members) on Wednesday, 21 November 2018. The careers fair aims to increase awareness of the Queensland public sector as an employer of choice, and put veterans in contact with hiring managers and HR practitioners to discuss current opportunities as well as potential upcoming roles they could be suited for, and more. Tell your networks, colleagues, family or friends who are connected with veterans looking for their next career in public service. We know veterans possess some of the most well-regarded, diverse and sought after skills and experiences in the labour market today. It is the depth and breadth of transferrable skills that make them attractive candidates to the sector. The Queensland public sector is committed to creating an inclusive and diverse workforce that brings together people with a wide range of skills, backgrounds and perspectives. Veterans bring with them diverse skills and experiences and a commitment to public service.